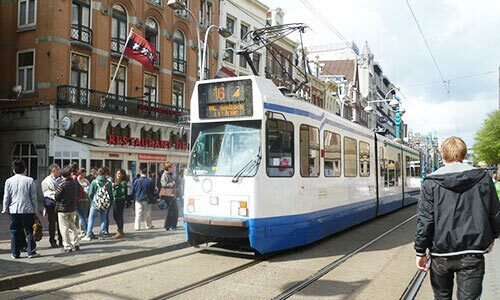 This is part 6 of a 7-part travel series on Holland, including how to travel to Holland, the Dutch culture, Dutch lifestyle, Dutch environment and essential things to know about the country. 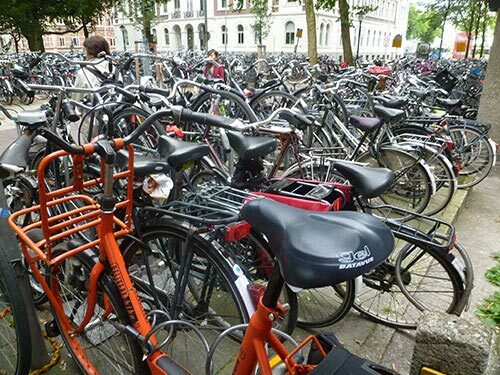 Holland is also known as the Land of Bicycles. Before I came to Holland, some readers have already alerted me on the proliferation of bicycles in the country. But nothing beats seeing it in person!! Check this out! Everyone and their grandmother know how to ride a bicycle in Holland. Seriously. 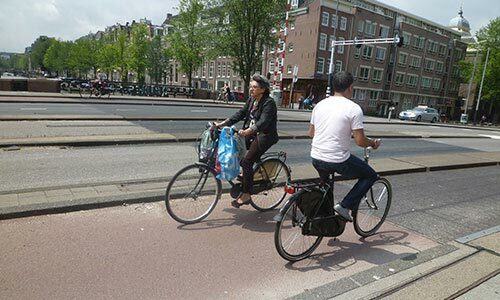 There are even bicycle-only road tracks built for cyclists. Check out the massive number of bicycles here!! This was taken beside Utrecht Central Station. 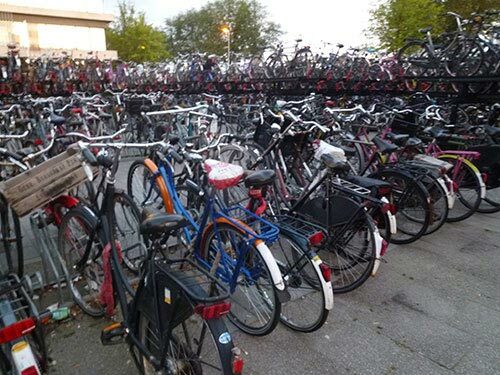 My Dutch friend told me there used to be only 1 rack for bicycle storage, but then it was always full. So the government installed a second rack. Now the second rack is always full too! Time for a third rack?! Bicycles galore. I’ve never seen so many bicycles in one place in my life. You’ll almost always see some bicycles parked outside a shop or along the road. 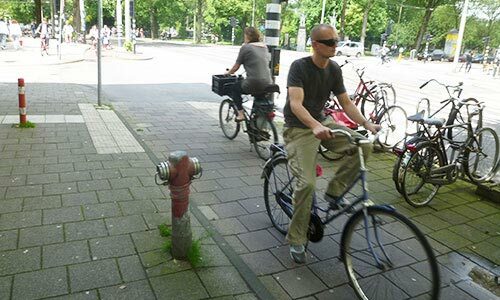 When you’re trying to take a picture of the surroundings and somehow cyclists get captured in the picture one way or another, you know for sure you’re in Holland. There’s a running joke that there are more bicycles than people in the country, and I don’t think it’s untrue. 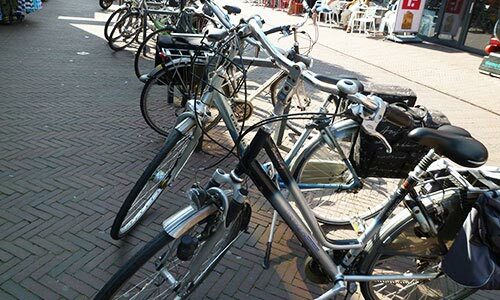 Seems like it’s normal for every Dutch person to own an average of 2-3 bicycles! While cycling may seem like a laborious/unglamorous mode of transport at first sight because you’re “working” and sweating and all, it quickly shows itself to a top choice when commuting. Great form of exercise. The average person in Holland is quite in shape. I’ve barely seen any overweight or obese person since I’ve been here. Since almost everyone cycles here, everyone gets his/her dose of exercise every day on the way to work or when running errands. Talk about effectiveness! Environmental friendly. There’s no fuel needed, which means a step toward preserving the limited resources in the world. It also means there are no byproducts from combustion to deal with. Economical. Other than the initial cost of buying a bicycle, everything else is free. Convenient. Takes you directly from one place to another, whereas with the tram/bus, you usually have to walk to cover the remaining distance. Fun. Wind blowing in the face, ever-changing scenery around you, all while getting a good workout – What’s not enjoyable about it? 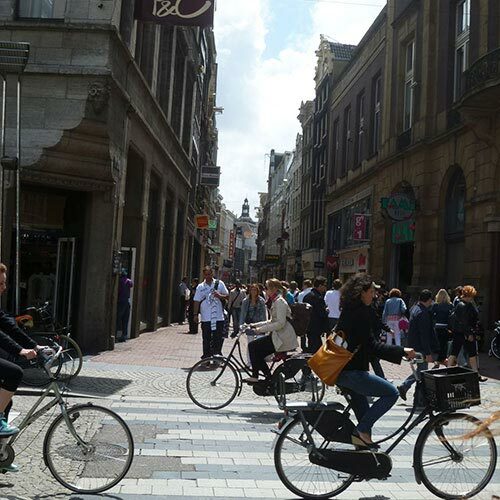 If you’re planning to stay in Holland for an extended period of time, you should most definitely buy/rent a bicycle. It’ll save you a lot; not to mention it’ll be very convenient. 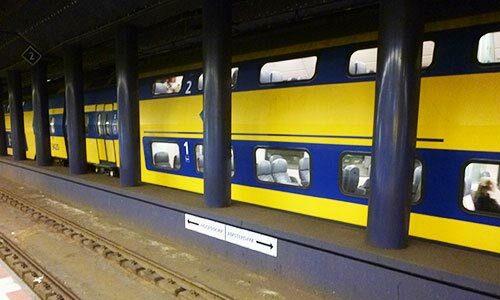 These travel within the city and are only found in cities like Amsterdam. 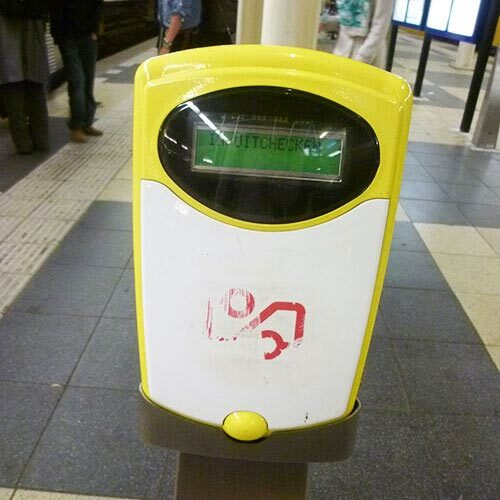 They operate on a fixed time schedule, which you can find at the tram stop. 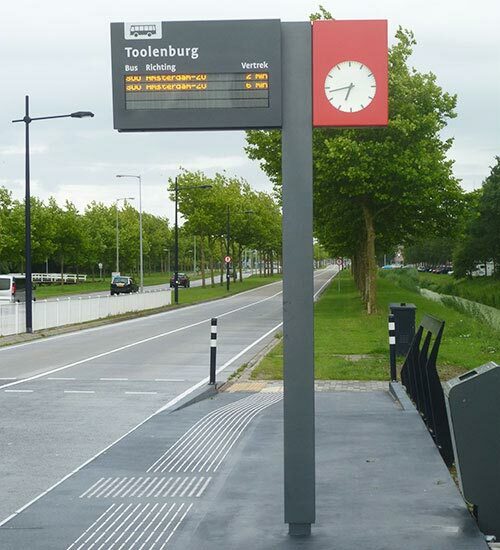 You can also see all the tram stops each tram services at the stop. Average wait time between trams is about 10-12 minutes. I took the tram quite often while I was staying in Amsterdam. For the most part, it’s quite convenient and brings you to most places. Buses travel both within the city and outside the city. Usually, they’re mutually exclusive with trams – in places where there are trams, there aren’t buses; in places where they are buses, you don’t find trams. 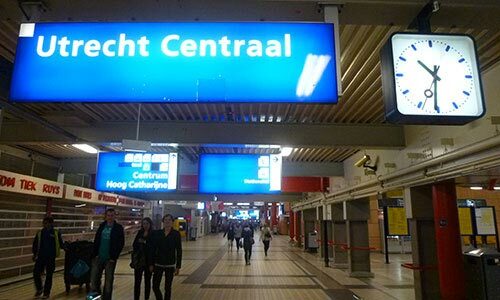 In my Holland trip, I’ve only taken the bus when traveling from Hoofddorp to Schiphol Airport and from Hoofddorp to Amsterdam, which cost about $1.50 Euros each. 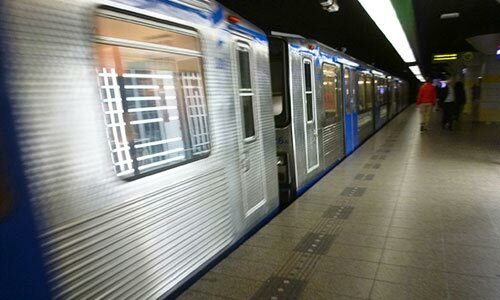 Then there’s the metro, which is a train that runs within the city. 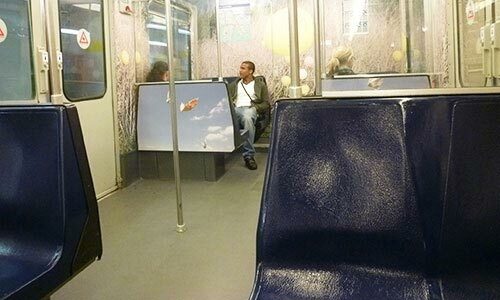 It’s like the MRT in Singapore. 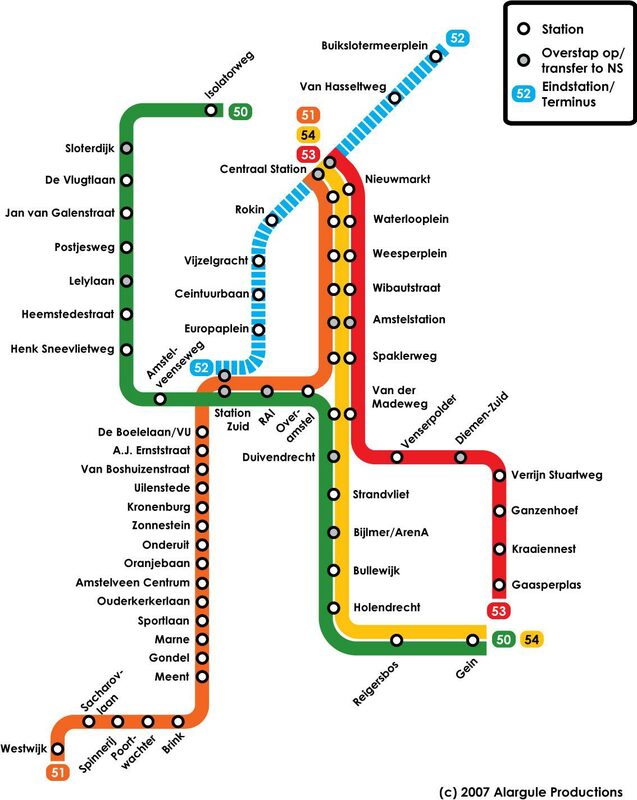 View the metro map for Amsterdam. 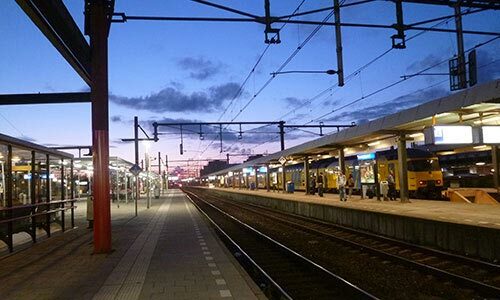 Intercity trains run from one city to another – for example, from Den Hague to Amsterdam, or Amsterdam to Utrecht, or Utrecht to Nijmegen, and so on. The stations tend to be bigger and busier than the metro stations. Intercity train stations are much larger than the metro stations. Also, it’s not unusual to find convenience stores and vending machines in the stations too. Taxis are rare in Holland – You will almost never see a cab on the street until it’s near midnight. The only way to reliably get a cab is via booking. The only time when I took a taxi was when I just arrived at the airport, and even then it was pre-arranged by my clients to take me to the hotel. Other than that I never had the need to take a taxi. While you’re in Holland, you should purchase the Chip-Kart. It’s a prepaid card for transport purposes, like the EZ Link card in Singapore or Octopus in Hong Kong. 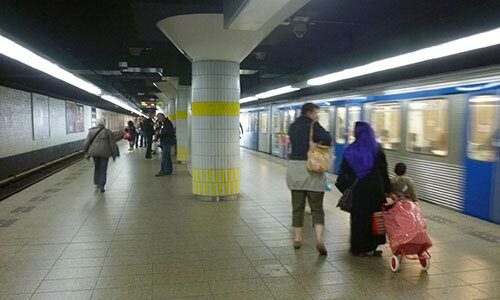 It can be used for trams, buses, metro and intercity trains – essentially all main public transport. An example of the chip-kart. 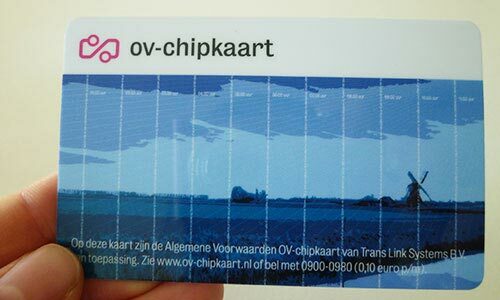 This is the card I use to get around Holland. Always remember to tap out your Chip-Kart via the check-out machines after every ride. Some metro/intercity stations do not have exit gates (they are open space) – Instead, they have stand-alone check-out booths scattered about the platform. You have to manually tap your card, else you’ll get the maximum fare deducted (which can be huge, especially for intercity travels!). There are 3 ways of traveling around in Europe – by train, plane or car. I haven’t taken any of these yet, though it’s a matter of time when I start traveling to other parts of Europe. The great thing about Europe is that it’s well connected via train. 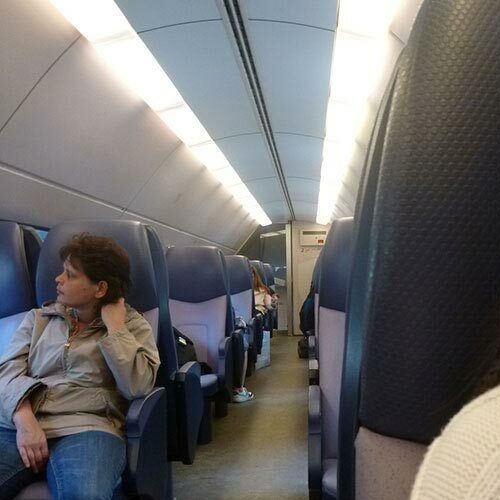 You can travel to almost any European country via train. And guess what – there aren’t passport checks when you travel from one country to another within the Schengen Area! That’s the whole point of the Schengen Agreement – to remove the barriers when traveling from one EU country to another. Usually, the earlier you book your train tickets, the cheaper they will be. The upside of taking the train over the plane is that it is (1) Experiential – You get to enjoy the European scenery during the trip – as well as witness the transition in sight when moving from one country to the next, and (2) More effective – No need for baggage check-ins/retrievals and a lot of administrative mumbo-jumbo at the airports that take up a big chunk of time. Sometimes the plane is cheaper; Sometimes the train costs less. You have to check the prices beforehand. Note that while budget airlines may quote very low airfares, it usually doesn’t include airport tax or baggage cost, so factor them into your final cost. I’ve also heard that the budget airlines in Europe have horrible service. Ultimately it’s up to you though. I have yet to try them yet so I can’t comment. This is an alternative way to get around Europe, at a low cost! (Special thanks to Micha for telling me about it!!) There’s this site called Mitfahr Gelegenheit where individuals driving around Europe (and have space for others) post carpool offers. They will request a fee, which will be lower than if you travel by train or plane, so this is the most economical way to go. Similarly, if you are driving and you have space for others, you can post your carpool offer too. My friend Micha highly recommends this service – He has traveled via carpool for many years and only had 1 negative experience. It’s a great way to know many cool people. The quality of your experience is dependent on the person you’re carpooling with. Just make sure everything is communicated clearly before proceeding, and you should be fine! I’m planning to use the carpool service when I travel to Germany next week, so I’ll post about my experience then. I am able to travel within Holland quite easily with the help of Google Maps. Some buildings are outdated (For example, there was one time when my friend and I arranged to meet in front of “Hotel Hortus” at Plantage Middenlaan, and we arrived at the place but couldn’t find each other because we couldn’t find the hotel – Presumably because it’s been torn down!). But it’s excellent for the most part. Another travel advisor you can use is 9292 – it’s a journey planner especially for Holland, and can direct you to almost any street and building in the country. Google Maps has worked very well for me though, so I never had to use 9292.